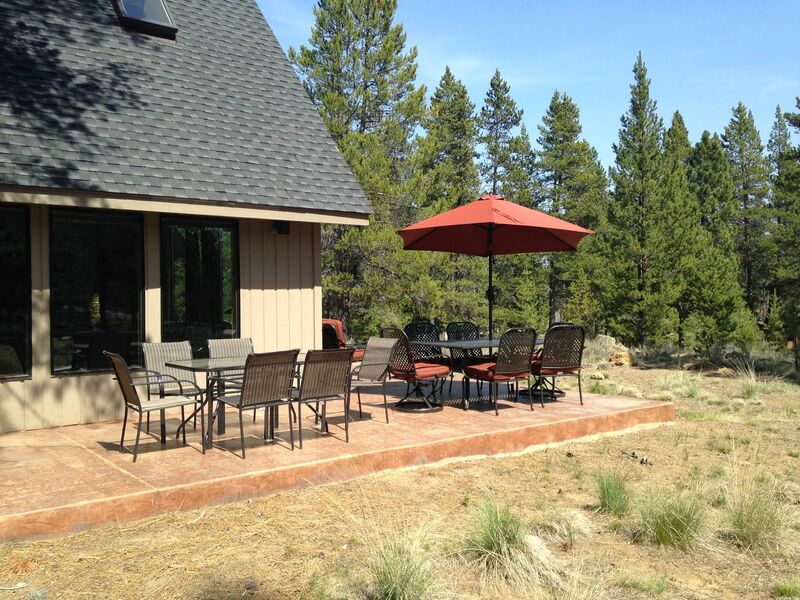 Among one of our favorite Sunriver rental homes, 8 Mt. 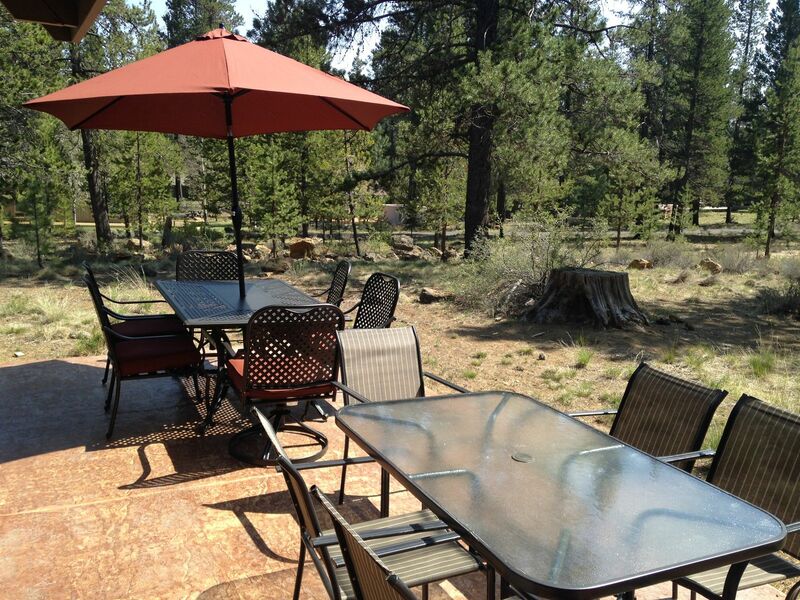 Baker is located near the center of Sunriver, just a short walk to Fort Rock Park, or a short bike ride to the village Mall, Sunriver Marina, or the SHARC. This elegant and peaceful home is well appointed with all of the luxuries of home. At 8 Mt. 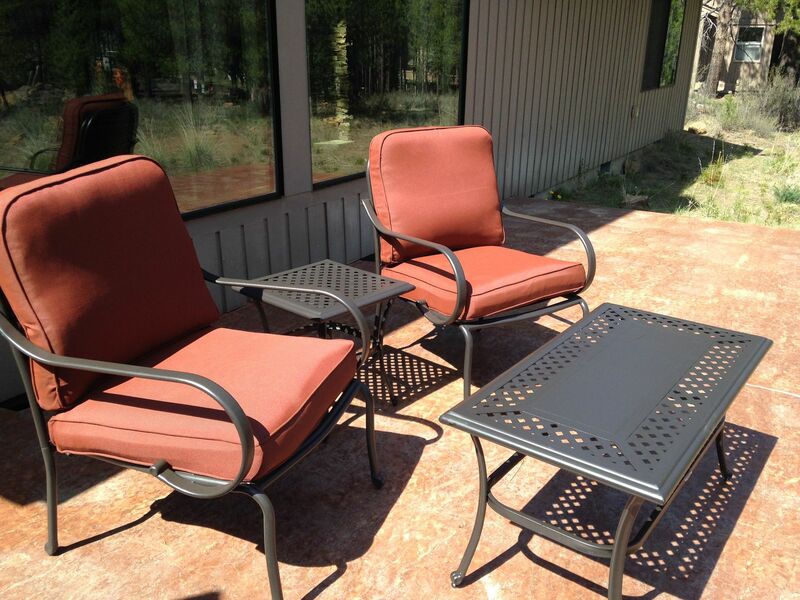 Baker Lane you can relax and enjoy all of the comforts of an elegant home. The home has Air Conditioning, 2400 sq.ft. and is 2-story with four bedrooms and three and one half bathrooms. 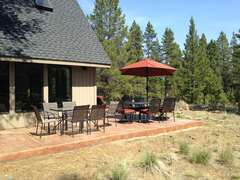 Downstairs, is a king master suite, a queen master suite, half bath, living room, kitchen and family room. Upstairs is the 3rd bedroom with a Queen bed, the 4th bedroom with a Double bed, a loft with queen sofa sleeper, and a full bathroom. A portable crib and portable high chair are in the home for families with small children. There is a TV with BluRay player in the living room. The king master bedroom has a TV. The queen master bedroom and loft have TV's as well. The home has a gas fireplace in the living room for warmth. The family room has a wood fireplace for those who prefer a more traditional fire. The home also has a single car garage for your convenience. 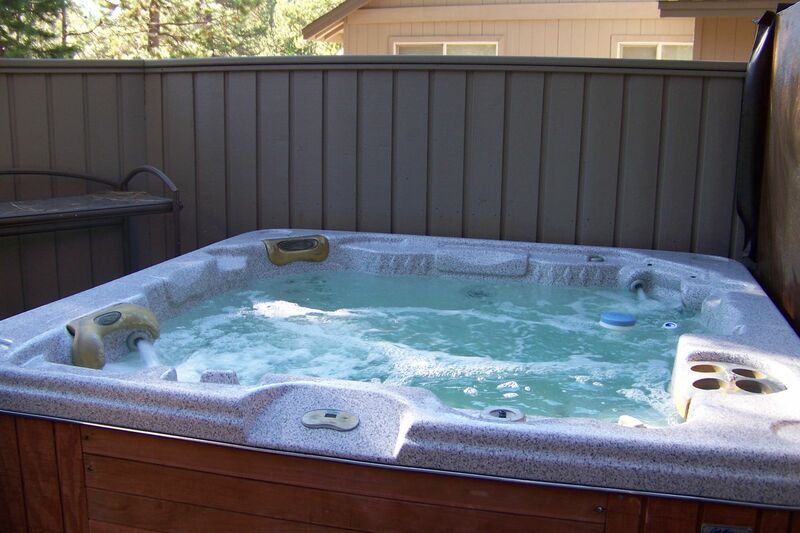 A private hot tub and large patio with BBQ and patio furniture allow you to relax and enjoy the outdoors. 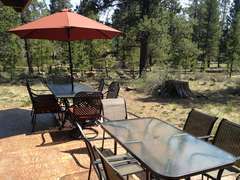 The patio overlooks a large forested area with the bike path in the distance. There are four adult single speed 'cruiser' style bikes, perfect for exploring the miles of paved bike paths throughout Sunriver. 10 SHARC Passes are included with the rental of 8 Mt Baker Lane!